The survey revealed that more than 1 in 4 high school students and about 1 in 14 middle school students used a tobacco product in 2018. "The skyrocketing growth of young people's e-cigarette use over the past year threatens to erase progress made in reducing youth tobacco use. It's putting a new generation at risk for nicotine addiction," CDC Director Robert Redfield said in a statement. Products manufactured by Juul have been shown to be especially attractive to minors because they come in fruity flavors such as mango, mint, and fruit and creme. Kids and teens who use e-cigarettes could be more likely to start smoking tobacco, the CDC said, citing previous research on the subject. “They add to mounting concerns that the rise in youth use of e-cigarettes, especially Juul, is vastly expanding the number of kids addicted to nicotine, could be leading kids to and not away from cigarettes, and directly threatens the decades-long progress our nation has made in reducing youth smoking and other tobacco use,” Myers said. The FDA shares the CDC’s concerns about the alarming surge in e-cigarette use among teens. 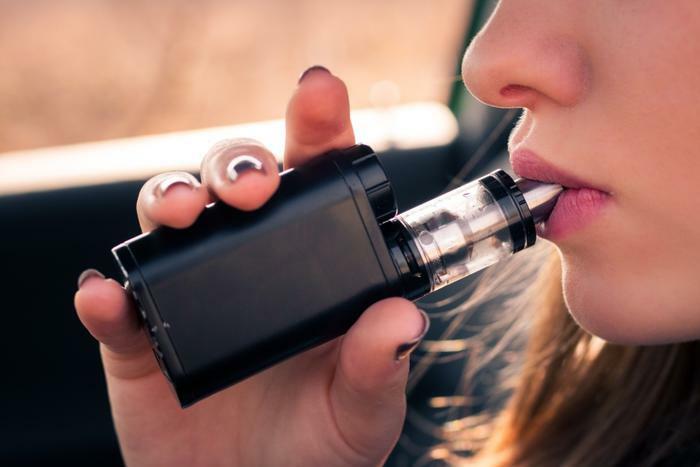 Commissioner Scott Gottlieb has described the issue as an “epidemic” and repeatedly called for e-cigarette manufacturers like Juul to step up their efforts to combat youth use of their products. On Monday, Gottlieb expressed concern that e-cigarette manufacturers may be reneging on vows they made last year to counter teen use. In January, the FDA warned that e-cigarettes could be pulled from the market entirely if youth use continues to rise.